When we think about a ‘sanctuary’, natural, clean spaces spring to mind; the tranquil sounds of water in the backdrop of our thoughts. While we don’t always want to wander around in a state of zen-like contemplation, it makes sense to create relaxing spaces in our homes. So why not re-energise your favourite rooms with our five simple tips for harmonious living. We all have books we ‘mean to read’, paperwork we need to sort out or objects we’ve been given as gifts or have bought on impulse. It’s thought that living in a cluttered environment can increase stress levels, so it makes sense to set aside a weekend to get organised. Do you have items hidden away that you’d like to show-off? 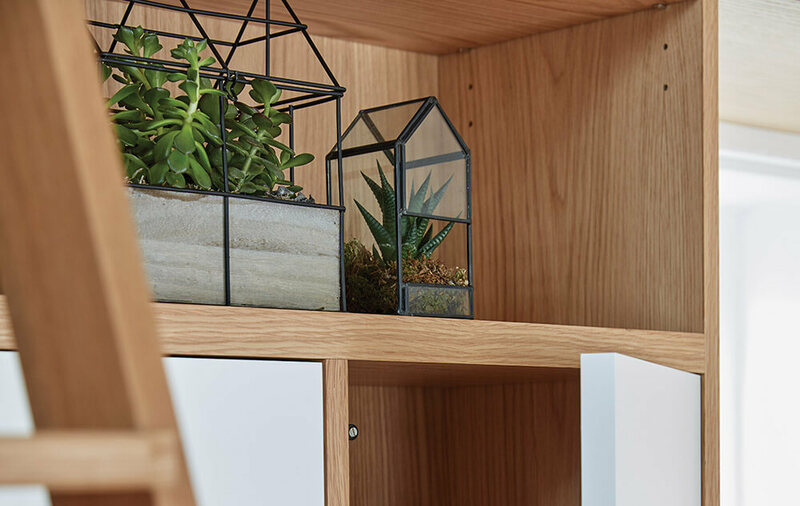 Use furniture with display shelves and in-built lighting to showcase your most treasured possessions or choose cabinetry with clever compartments to neatly store the items you need to hang onto. Sometimes we need to just ‘switch off’. 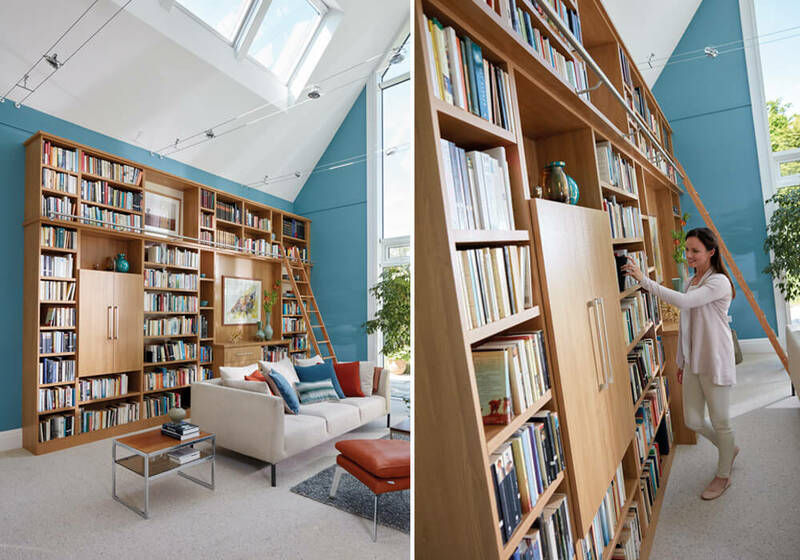 Creating a cosy reading corner or a dedicated library can give you a space in which to wind down away from the distractions of TVs, laptops, work and social media. Little changes can make a big difference – especially to how energy flows through your home from one room into another. Consider rearranging furniture to make your room look and feel bigger or refreshing the décor to bounce more light around your room. 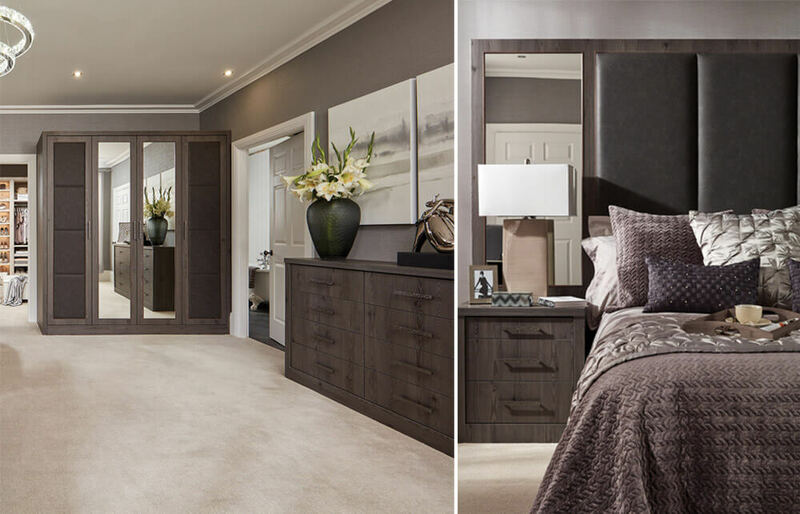 Simple touches such as adding mirrors or painting recesses a lighter colour could be transformational. Continuing the theme, encourage the flow of natural light. Glass shelves or furniture looks more open; even glass balustrades in staircases can make hallways look larger. Non-obtrusive furniture can open up smaller spaces and have a positive impact on your mood. Beautifully potted shrubs, floral displays and trailing plants draw in energy allowing your home to feel integrated with nature. Money plants, vibrant blooms, bamboos and aromatic, soft planting are perfect for creating a sense of calm. In today’s hectic environment we all need a place in which to unwind and recharge so instead of escaping to an expensive spa, why not transform the space you love the best? It’ll make you feel better for a lot longer. Call or click to book a free design visit or to request a free brochure today.